Martin was born in Lima, Peru as the illegitimate son of a Spanish nobleman and a freed slave woman from Panama. Since he favored his mother's black features, his father didn't acknowledge him. He grew up in poverty, with only 2 years of school. 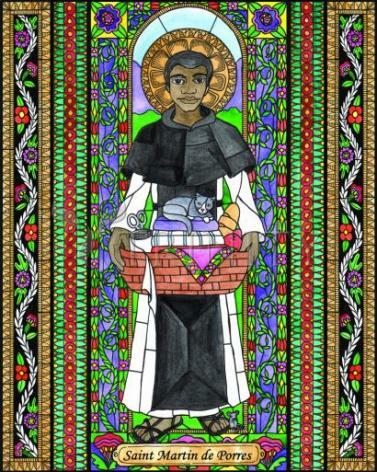 At 15, he entered a Dominican convent as a servant boy. He spent hours in prayer and soon his holiness became evident. Eventually, he became a full Dominican brother in spite of racial limits. When the order was in serious debt, Martin begged his superiors to sell him as a slave.